Dr. Alexander Dutko D.D.S, P.C. Welcome and thank you for visiting our website. Our practice was established over 60 years ago by the late Dr. Johannes Dutko and it's a privilege to continue to serve the dental needs of generations of patients and their families in the community. A philosophy of providing the best care at a reasonable cost while respecting our patient's time has been the driving force behind our longevity. With an ongoing commitment to incorporating leading edge techniques and technology in dentistry, such as all porcelain cosmetic restorations, digital radiographs, implants, laser treatment and Velscope oral cancer screening, we look forward to being your family dental practice for many years to come. 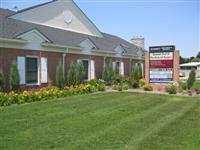 We are committed to excellence in treatment and customer service. Your dental health, comfort and satisfaction is our goal. We listen to your concerns and expectations, take time to answer all of your questions and explain your options. We believe in continuous and open dialogue, as your involvement is vital in diagnosing and successfully addressing your dental condition. Once a course of treatment is determined we will only use American dental laboratories and strive to use as many excellent American-made products as possible to achieve the best results for you. Give us a call—our friendly staff will take time to answer all of your questions and make you feel right at home, like one of the family. Alexander A. Dutko, D.D.S, P.C. 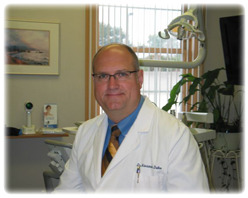 Dr. Alexander Dutko, a native of Detroit, is a graduate of Wayne State University (1984) and the University of Detroit School of Dentistry (1988). He is a member of the Macomb Dental Society, the Michigan Dental Association, the American Dental Association, the Michigan Academy of General Dentistry and Psi Omega dental fraternity. Dr. Dutko also speaks Ukrainian and Polish. Dr. Dutko and his staff are dedicated to advanced post-doctorate training and attend many hours of continuing education every year. Our practice is also actively involved in the evaluation of dental materials and products for a prestigious, independent dental testing and consulting institute. We strive to use as many American-made products, equipment and service providers as we can in our daily operations. We only work with the best certified dental laboratories and technicians located in the United States of America. Most of our fine laboratories are located right here in Michigan. We are a full service general dentistry practice dedicated to preventative, restorative and rehabilitative treatment. Our leading edge technology and materials complement sound, accepted and ethical principles. We promise to always give you the best treatment options because we want you to be comfortable and happy with your dental care. If a referral is indicated we work in harmony with many excellent specialists, several who conveniently practice in our professional building. Oral health related information, referrals, and general health guidelines. Oral and dental health information. As part of our commitment to providing you with the best possible care, we are prepared and available to discuss our treatment fees with you at any time. Your clear understanding of our financial policy and your responsibilities is important to our professional relationship. Please ask if you do not understand something or have any questions about our fees, financial policy and insurance participation. We appreciate the value of insurance benefits and will assist you in obtaining your maximum benefit. We will gladly process your claim for you and will estimate your deductible and the portion that might not be covered by your insurance policy. Any service, claim or amount not paid by your insurance carrier is the patient's responsibility. The patient amount is due at the time of your treatment and may be paid by several options. Payment in full is expected upon completion of a patient's treatment. Individualized, pre-arranged payment plans and incentives are available and will be discussed prior to treatment. Unless cancelled at least 24 hours in advance, our policy is to assess a charge for missed and broken appointments at the rate of a normal office visit. Please help us to serve you better by keeping scheduled appointments. Additional hours are available by appointment. If you are in pain or have a dental emergency every effort will be made to see you as soon as possible the same day. 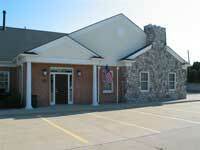 Our office is located in the northwest corner of the Summit Professional Building, between 12 Mile Rd. and Common Rd. Contact us by phone or simply fill out the form below. Office directions may be found by clicking here.